The Samsung Galaxy S9 Plus truly has become the smartphone to beat; with an impressive camera and a powerful processor, it hasn't failed to impress experts. Select your desired options to find the best Samsung Galaxy S9 Plus deals for you. Since the early days of mobile phones, Samsung has quickly risen through the ranks of smartphone manufacturing to become one of the main rivals to all other technology giants, so much so that they now have a global following of loyal customers. It was this band of loyal customers that, as always, awaited the latest Samsung flagship announcement earlier this year with bated breath; with each Samsung release there seems to be a large degree of whispers and murmurs around what Samsung might do next, as they are well known for pushing the boundaries when it comes to innovative smartphone technology. 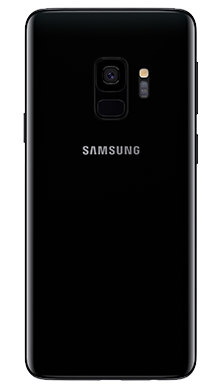 The Samsung Galaxy S9 and S9 Plus followed the S8 range, which received exceptionally positive reviews, so the pressure was definitely on Samsung to deliver another standout handset that reached the great heights of their customers, and critics, expectations. 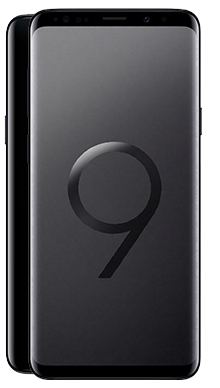 In terms of design,S9 Plus looks remarkably like their predecessors, but this isn’t necessarily a bad thing. Where the S8 range was praised as one of the best-looking smartphones ever, it's not surprising that Samsung wanted to stick with such a tried and trusted design. The S9 Plus, like the S8, features a glossy finish, sleek rounded corners and the infinity screen that we have all come to know and love. The fingerprint scanner on the S8 was, ever so slightly awkwardly, next to the camera lens, whereas with the S9 Plus it is placed below the camera, making for a handset that is much more comfortable in hold. At 6.2 inches tall it is significantly larger than the smaller S9 model, but the slimmer build means that it still relatively comfortable to use with one hand. The S9 range comes in three striking colours: Midnight Black, Coral Blue and Lilac Purple. The addition of Gorilla Glass 5 combined with aluminium frame means that this handset is ultra durable, but with that being said we all know how heartbreaking it is when you have a nasty drop that results in a smashed screen or a cracked back panel, so we’d always recommend investing in a trusty protective case. The screen quality of the S9 range has been hailed as one of the best ever by critics and mobile phone retailers alike. Despite being significantly slimmer than many other high-end smartphones, you still get a lot more screen area thanks to the taller size. The super AMOLED display comes with a Quad HD+ technology, making it compatible with certain shows on Netflix, Amazon or Now TV (which you can get for free with selected pay monthly contracts) and giving you incredible definition that results in a top of the range viewing experience. Not everyone is keen on the Super HD finish that some videos or films have, but with the S9 Plus you don’t need to worry about that. One of our favourite features is that you can customise the colour display on the handset to suit your preferences So if you’re not as keen on the super HD, saturated colour themes, you can modify them as you so wish. Unlike the more recent releases from Apple, the Samsung Galaxy S9 Plus supports hi-resolution music and DSD files, so any music buffs out there will be over the moon. The S9 Plus provides a really good standard of audio experience, thanks to Dolby Atmos technology, and sound comes across crisp, clear and balanced. Another feature that differentiates the Samsung handset from more recent Apple phones is the presence of the headphones jack. This is a feature that many smartphone users miss now that a lot of other manufacturers have followed suit with removing this once standard feature, but thankfully for some, Samsung have decided to go against the grain and keep things somewhat traditional. The Samsung Galaxy S9 and S9+ campaign largely focused on ‘The Camera. Reimagined’ so we were all expecting great things when it came to the photography setup on this smartphone. Samsung has not disappointed; the camera really is the star of the show on the Galaxy S9. The S9 Plus features a dual 12MP rear camera and an 8MP front-facing camera. That may sound exactly the same as the older Samsung handsets, but there’s one major difference: the Galaxy S9 handsets feature a dual aperture lens that moves and adapts like the human eye to produce stunning photos in any lighting conditions. This means that even in low light, the Samsung Galaxy S9 Plus delivers truly fantastic photos that will satisfy any budding smartphone photographer. The S9 Plus comes with full 4K video capability and is further enhanced with Super Slo-Mo features that produce ultra defined slow motion shots. You can even take it to the next level; we had great fun editing our shots by adding music and turning them into GIFs. There are also some additional fun features with the S9 Plus that will amuse users for hours on end. Why not edit your photos with added music, or even turn them into witty GIFs? One really fun feature, from an entertainment point of view, is the option to turn yourself into an emoji through the camera. We know it's not a smartphone essential but its a really great way to amuse your friends and family! In terms of performance, the Samsung Galaxy S9 Plus is extremely fast thanks to the high power Exynos 9810 processor that it comes equipped with. Any staunch fans of Bixby may be disappointed that this feature is slightly slow and doesn’t respond as quickly as one might expect. Don’t despair though; we expect that this will be improved with a Bixby update scheduled for release later this year. Some of Samsung’s own apps do seem to run a little slower, but with 6GB on the S9 Plus, there’s plenty of room to store all of your favourite apps along with space for your all important files and photos. The battery life of the S9 Plus is impressive, and if you do run low on power you’ll be extremely grateful for wireless charging and Quick Charge 2.0, which gives a super fast boost when needed. We have to say we’ve been incredibly impressed with the Samsung Galaxy S9 Plus range, and it’s a fantastic option if your after a high-end phone that is slim and comfortable to use. The Galaxy S9 Plus looks beautiful, and stick to the minimalist, glossy design that we’ve come to know and love from Samsung. Loyal customers will be happy to see that the S9 Plus keeps the infinity screen as well as the headphone jack. The screen quality is fantastic, and the support for hi-resolution music with the addition of Dolby Atmos technology results in an equally impressive audio experience. With all the hype about the camera, we were happy to discover that it doesn’t disappoint, and there are lots of extra fun options to play around with too. The S9 Plus delivers an ultra-responsive smartphone experience and we love the added benefit of fast and wireless charging which enhances an already satisfactory battery life. Here at Fonehouse, we’re proud to be the UK’s leading independent mobile phone retailer, working with a range of fantastic networks so that we can continue to bring our customers our lowest prices ever. This means that we have some of the best Samsung Galaxy S9 Plus deals on the market, and we guarantee that there’ll be something to catch your eye. We have the best Vodafone Samsung Galaxy S9 Plus deals. You don’t just get a great value pay monthly contract, but we also give you access to some fantastic free perks available to complete your new contract, including entertainment subscriptions to the likes of Spotify, Now TV and Sky Sports. You can even take advantage of our great cashback offers. Or, if you’re looking for an EE pay monthly contract, then we also have some of the best Samsung Galaxy S9 Plus EE pay monthly deals on offer, giving you bags of data and the huge added benefits! 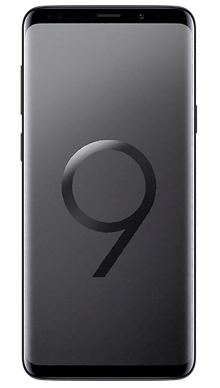 If you’re looking for the Samsung Galaxy S9 Plus SIM-free, then you’ll be pleased to know that Fonehouse have some of the lowest SIM-free prices, and with our next day delivery service, you could have your Samsung Galaxy S9 Plus the very next day and it won’t cost you a penny. 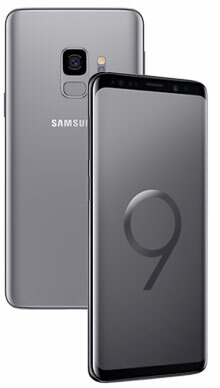 If you can’t find the best Samsung Galaxy S9 Plus deal online or in our stores, or if you’d just like to get some more information on the Samsung Galaxy S9 Plus, why not contact us on 0333 900 1133 and our UK based customer service team will be on hand to guide you to the perfect deal for you.